So, According to Brittney has been on a bit of a break. A lot of it has to with my new job that I’m so lucky to have been offered. All of it also has to do with some personal issues going on in my life. It’s something that is really hard to talk about and I get all those feelings rushing in just typing this blog post. But, I know that this is something that goes on in everyone’s lives. Which is why I’ve decided to open up about it, in the hopes that this post can help someone else. These are not professional tips, but advice from my own personal experiences. Anxiety is something that is hard to explain, hard to deal with, and often hard to even understand. For me, my anxiety began with the loss of my best friend. My body and mind were giving me awful signals because I was under such emotional stress. Not sleeping, not eating, feeling nauseous and sick were all miserable symptoms I had to deal with when having anxiety. Recently, my anxiety has been back full force due to some personal issues. I flashback to the first time I was having these attacks. The sadness and the misery were sometimes unbearable. But, luckily, I am better able to cope this time and have a better support system than I did the first time. So, I’d like to share with you some things that I do to keep my anxiety at bay. When I had my first anxiety attacks, I was in college. I didn’t know what was going on and was really scared and felt so alone. The closest person to me at the time was the main cause of my anxiety. So, I often closed myself off and leaving me with my thoughts. This was not good. My anxiety and depression only grew worse. Now, I know that the best thing to do is to let someone know what is going on with me. I realized that when I actually reached out to my friends, they wanted to be there for me. Plus, talking it out with them just soothed a lot of the crazy thoughts I had going on in my head. So, despite what you’re mind is telling you, send out a call or text. Suffering through this alone is not good for you. When I was in college and having horrible, crippling anxiety, the only thing that kept my mind clear was focusing on school. Like really focusing. Like the semester that I was having terrible anxiety, I got straight As for the first (and last) time. Now, this is obviously just a temporary fix, but channeling all of that energy into something productive is much more helpful than channeling it into something destructive. Try to pick up a hobby like writing or sports that can take up enough time to calm down your nerves. Even if it’s for a few hours, you’ll appreciate that this time was better spent. Having anxiety is like the ultimate stress and you may want to deal with this stress by laying around and eating junk food. But, sometimes we have to realize that this doesn’t really make us feel better. It actually will make your anxiety worse. At the times when my anxiety was so bad that I just wanted to run away, that’s what I did. I would literally put on some yoga pants and tennis shoes and run or visit the rec center for some crazy workout class that I would never have gone to otherwise. Sweating out or punching or running out those feelings were sometimes exactly what I needed. This is by far the best advice I could give. If you’re feeling hopeless or like you may harm yourself or others, visit a therapist. I was lucky to have a counseling center at my college that I visited regularly. These people are trained to deal with these kind of feelings. 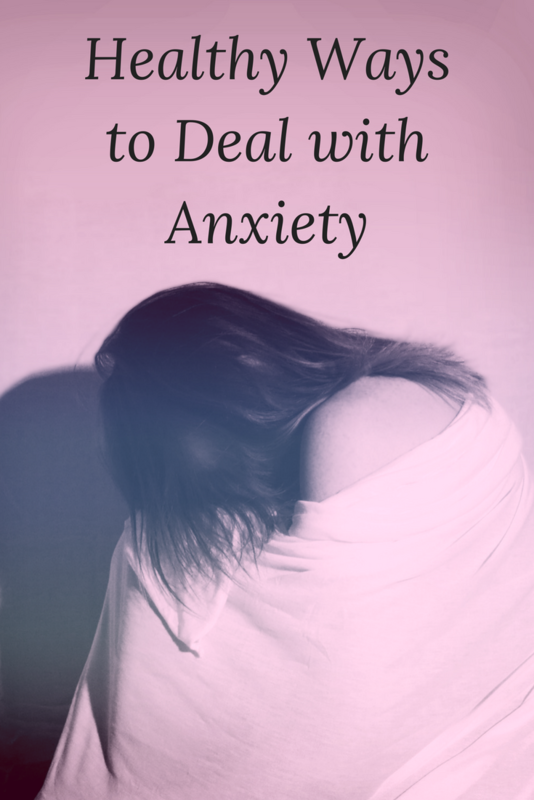 I learned so many great tips that I still use today when I’m having bad anxiety. Make an appointment with your primary doctor and ask them to refer you to a therapist. I promise you that it can really help! One awesome tip that I learned when I would see my counselor in college is mindfulness. Basically, she taught me about recognizing the thoughts I had and realizing which thoughts were helpful and which aren’t. With anxiety, a lot of times it makes us feel the absolute worse about ourselves. The meanest, cruelest thoughts I ever had about myself were all fueled by my anxiety. So, my counselor helped me realize that some thoughts were helpful and others weren’t. She helped me better understand when I’m putting myself down and how that wasn’t making my life any better. She showed me this video that really helped me and surprisingly, I still remember it! So, no matter how hard anxiety can be, there are resources, people, and things you can do to help yourself. The hardest step is overcoming your feelings and taking control. Got any other tips or advice? Comment below!